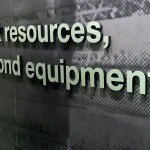 Corporate Brand Environments are an important part of brand communication. 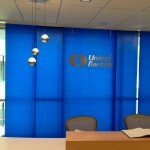 More and more, companies large and small recognize that all their constituents have an opportunity to experience the brand as a physical environment when visiting or working in the corporate offices. 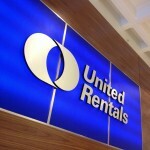 United Rentals, he largest equipment leasing company in North America, recently moved into a beautiful corporate headquarters building in Stamford, CT. As part of that facility design, Ware+Malcomb Architects of Orange County, CA contracted with Image 4 to specify, engineer, fabricate and install an exquisite brand statement program. The over 30,000sf facility at One Stamford Place is a premiere office location, and the package reflected the location and the quality of the building. Custom-printed graphic wallcovering accents hallways and common spaces. 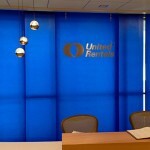 Brand statements and cultural touchpoints adorn walls in private offices and non-public areas. 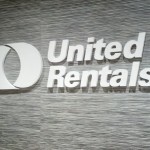 A 90-foot hallway has been converted to the United Rentals Employee of the Year Hall of Fame, in a contemporary cable-mount and acrylic installation. 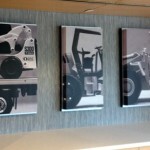 Gallery-style contemporary custom art prints are displayed throughout the facility. 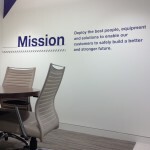 Conference rooms are adorned with images and word-art aligned to the UR culture.